Welcome to The Ear Center of Greensboro, P.A. 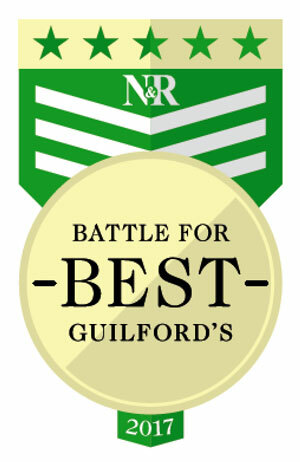 "2017 Battle for Guilford's Best Award"
Thanks Greensboro for voting us the 2017 Best Hearing Center in the area. Again! 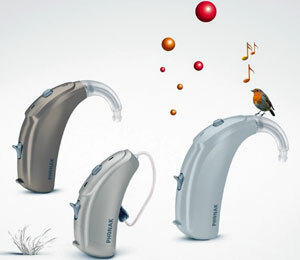 Hearing aid sales, fitting, programming, repairs, accessories, batteries, etc. 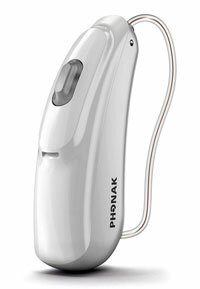 New rechargeable hearing aid technology from Phonak! Click here to meet Jennifer Burkey, Au.D., Claudia Mason, Au.D., Teryl Delagrange, Au.D., and Sarah Allen, Au.D. NC Law HB84 signed into law by Governor Roy Cooper to make traffic stops safer for Deaf & Hard of Hearing drivers. Click here to learn more. Dr. Kraus presented a TED talk entitled "Hearing, Smart phones & Empowerment" and the development of the Sleeping Baby Hearing Test App for smart phones/mobile devices at the 2014 TEDxGreensboro Event on May 8, 2014! The Ear Center of Greensboro, P.A. is located directly across from the Moses Cone Memorial Hospital Emergency Room and Cone Day Surgery Center, @ 1126 North Church Street Medical Building, Suite 201. Click here for a map. Our patient portal gives you on-line access to your electronic medical records. We call it "MyRecords" and want to make it easy for you to view your health information when you need it. Click here to visit our MyRecords page and to learn more. Click here to link to our portal if you have a user-name & password! DISCLAIMER: Please note that this website is not designed to, and does not, provide medical advice. All of our content, including text, graphics, images, photographs, charts, maps, information, etc. that has been made available on or through this website, is provided for general information purposes only. The content is not intended to be a substitute for obtaining professional medical advice, diagnosis, or treatment. Do not delay in seeking medical advice and do not disregard professional medical advice once obtained because of information that you have obtained on this website. It is a good idea to never rely on information from this website, or any website, in place of seeking up-to-date, professional medical advice. Please be reminded that emergency subject matter is not appropriate for electronic communications or viewing on a website. If you and/or a family member are having a medical emergency, go to your nearest emergency department immediately. For additional information, please see our main Disclaimer Page.